Trying to get caught up has become an insurmountable task since returning home from a well deserved “vacation” in Spain. Note that I included quotations to the word vacation because I did manage to do some work on a couple of Giulia spiders while in Spain. 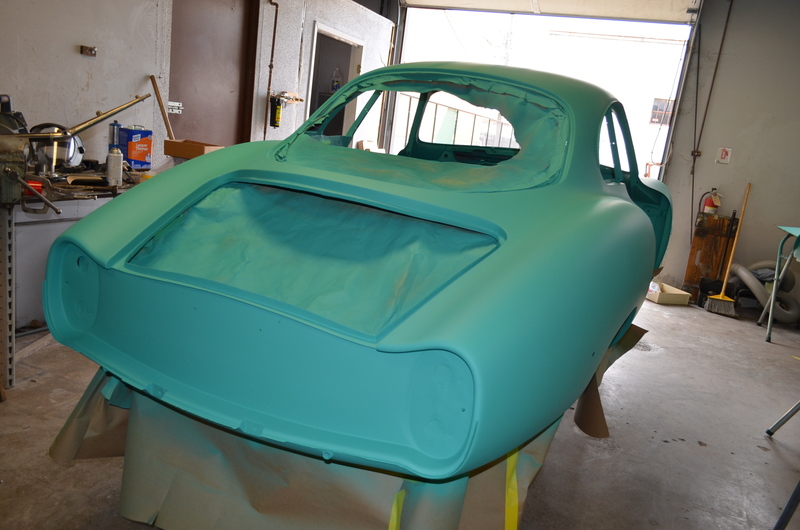 But for now, it is time to celebrate a significant milestone on our own Giulia SS, the final primer is complete and will be followed with a top coat of single stage dark green paint. 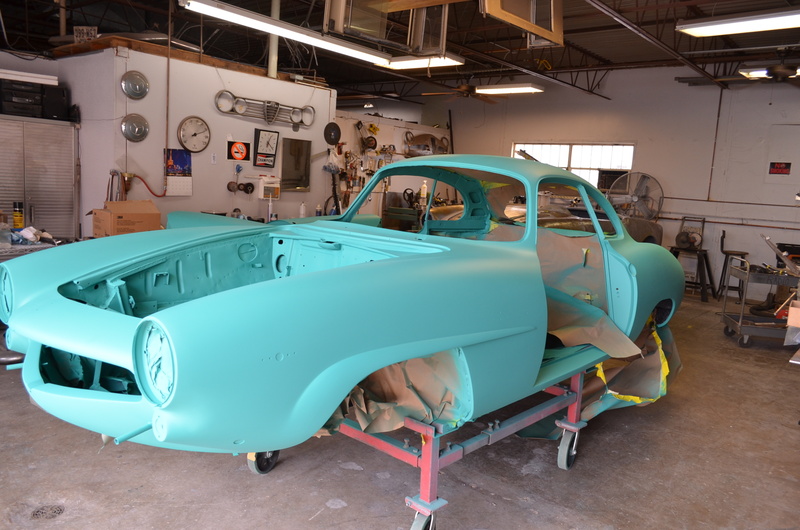 Next car in line will be the 1958 Giulietta Sprint Veloce 1st series to be painted in Azzurro Nube; the 1958 Giulietta Spider Veloce will be painted Cardinal Red; and the 1960 Giulietta Sprint 2+2 to be painted Bertone red. Hope that all four cars are painted by the end of September which means that there will be no more metal work for the rest of the year. Next post will be about previous projects and experiences. Enjoy the photos until next time. 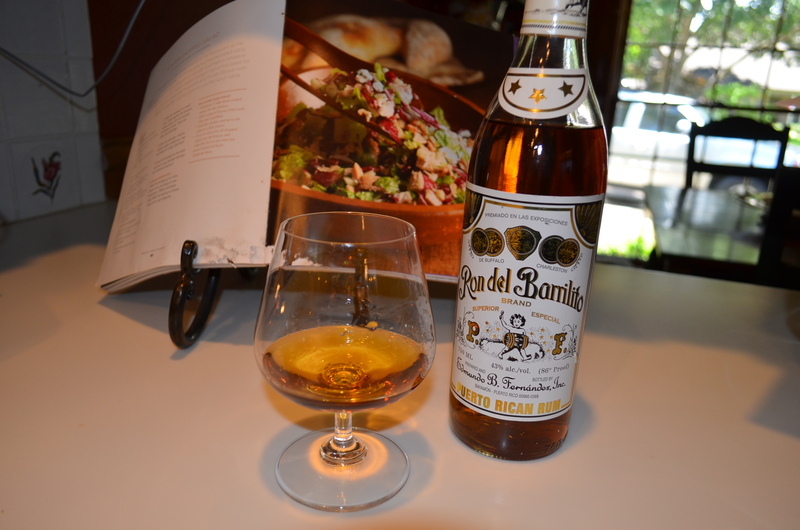 Lets celebrate with the finest Rum in the World. This entry was posted in AR*381173, Metal Fabrication, Uncategorized. Bookmark the permalink.